Dreams can take you far away if you never give up on them. This is the reason why Félicie and Victor arrive in Paris, the city where dreams come true, where becoming a great ballerina at one of the world’s best ballet schools or an inventor doesn’t seem that hard anymore. Having the desire to succeed they follow their path and shoot for the stars. The two escape the orphanage where they grew up and try their luck in the big city. 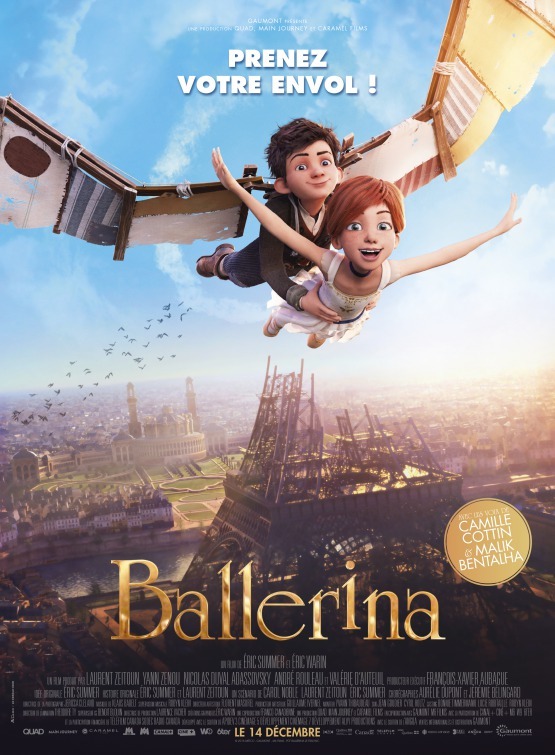 Driven by her passion for dancing, Félicie takes her chance on auditioning for the great Paris Opera Ballet, one of the most preeminent ballet companies in the world, together with Moscow Bolshoi Ballet and the London Royal Ballet, and Victor continues with his flying inventions as helper within Gustave Eiffel’s workshop. The focus is on Félicie’s road to success. With the help of a new friend and Victor by her side, hard work and discipline, nothing seems impossible. The story told by Eric Summer and the less experienced Eric Warin, was distributed by Gaumont and Entertainment One. 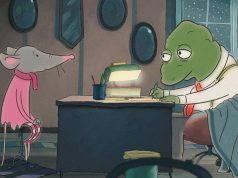 Ballerina is the very first feature film created by L’Atelier Animation, founded in Montreal in 2012. 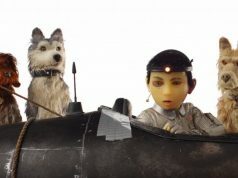 The filmmakers used key frame animation of the couple Aurélie Dupont, main star and director of Paris Opera Ballet, and Jérémie Bélingard, star of the Opera. Aurélie became also the choreographer of the film’s dance sequences. From this point of view we can say the movie takes ballet very seriously, as they used real performances for their choreographies. This is the big gain of the movie. On the other side, the story seems very predictable: the poor girl with a sad story to tell trying to enter a world of glamour and success and a street boy with no manners that fancies himself an inventor. The main character is similar to Moana, pursuing her dream, following her calling, but she has a secret life as a ballet student. I believe she’s an interpretation of Cinderella, the poor girl cleaning the house so she can have a place to live, that during the day struggles to become a ballerina under a fake name. Where are all the stories about the feminine characters being other than princesses or ballerinas? Another thing that seems a bit off is the timeline. The only things giving us an idea about the time period are the beginning of the construction of the Eiffel Tower and the finished Statue of Liberty. In 1887 Gustave Eiffel signed the contract for the tower bearing his name, meant to be built for the Universal Exhibition of 1889. The works for the foundations started in 1887 and in 1888 it was in the stage captured in the movie. On the other hand, in 1881 Eiffel was contacted by Auguste Bartholdi in order to help him build the Statue of Liberty that was inaugurated in 1886 in New York, but in the movie we see it in Eiffel’s yard. So, at the time of the Eiffel Tower construction, the statue was already inaugurated in New York. 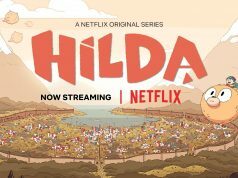 I would have loved to see this movie in a classic drawn animation, with the action set in a real French cultural background and the story having more substance.